We take a trip over to our friend's house where everything sounds different. Er, where you play the games that you didn't play at your house because you didn't own the system, didn't own the game, weren't ALLOWED to own the system or game, or just like the atmosphere better than at your place. And for this episode, we invited a few friends over to our house! Zac (@ZacShipley), aDam (@aDamRulz), and Ernie of No Topic Required (@NoTopicRequired) take over the show for this April Fool's Day episode. Supposedly Sarah Rattle (@SarahRattle) was there too, but we sure didn't hear her! Um, April Fools! 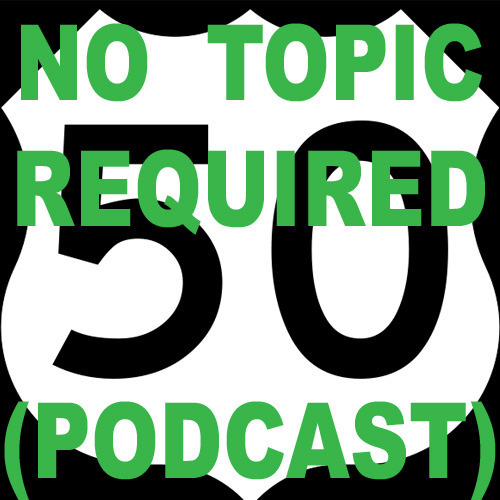 We hope you like this week's podcast starring the No Topic Required crew. They did a great job, and turned out a great show -- which they do on their own podcast every week, which is why we thought this could be fun! Speaking of No Topic Required, that's where Sean and Vinnk ended up this week, so take a listen to the episode -- especially if you haven't heard one before! Sean and Vinnk go off on a tangent about three Superman movies: Superman III, Superman Returns, and Man of Steel, and why Superman Returns wasn't really a reboot like Man of Steel was. Zac and aDam used to do videos for Powet.TV. Check them out! Check out Ernie at the end of this BotCon review.